The Vasilopita is the cake with which the Greeks welcome the New Year. The Cultural Association of Deliana invites you on Sunday, 13th January at 14:00, at the “EFTIXIA PALACE“, Rapaniana /Kolymbari to the annual cutting ceremony of the Vasilopita! 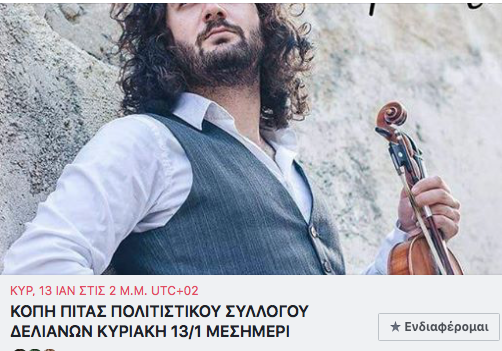 Music: Stratis Skarakis and band. Dances will be performed by the Folklore Dance Club of Chania. Entrance: €15,- with full menu. For information about the roots of the traditional Vasilopita click here.